Bowling Green Garden Homes Association is a beautiful, garden home community located in the heart of Pasadena. The Association consists of 46 garden homes and an additional 11 vacant homes sites (bringing this community to a total of 57 properties). The association was established in 1984, and four years later, the association signed their first contract with C.I.A. Services. The Association has a stellar, five member Board of Directors that oversees all aspects of the community. Bowling Green Garden Homes owns, manages and maintains several private streets, sidewalks and visitor parking in the community, which the Board oversees. This Board is extremely hands on, as they also request bids and handle all of the Association contracts - everything from landscaping to street and parking lot repair are some of the many items they oversee. On top of being pro-active, their hands on approach can be well seen through their deed restriction enforcement process. They do their own deed restriction inspections and notify property owners of such violations (in accordance to the Texas Property Code Section 209). The Board works very closely with the city of Pasadena to ensure that their community is complying with all city ordinances. Despite the quaint size of the community, the Association’s landscaper mows, weeds, and trims fence lines on all community properties, vacant lots, and property owners’ front yards. 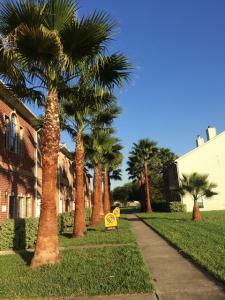 The Association also takes care of all front yard tree maintenance for property owners. Owners thoroughly enjoy this low maintenance, care-free community! Bowling Green Garden Homes Association may not have any amenities, but owners are able to enjoy Pasadena’s parks, including Strawberry Park, and regular events such as the Strawberry Festival, Scarecrow Festival, and the Pasadena Livestock Show and Rodeo Cook off. There truly is something here for everyone. Communities like Bowling Green Garden Homes are a true display of the amazing Communities C.I.A. Services has the privilege of working with, and we’re delighted to call them one of “ours.” Here’s to the 30+ years with Bowling Green Garden Homes, and to the many more to come!